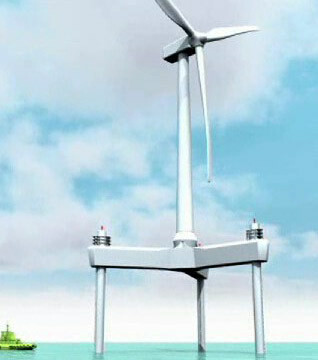 Offshore Wind Power Systems of Texas LLC a privately owned Texas corporation located in the Houston, Texas metro area and with offices located in Dongying China has developed a uniquely designed offshore platform for specific use in the production of electric power by means of wind turbines. Our company and design makes use of our over 30 years of offshore machinery and platform designs used primarily in the offshore drilling industry. 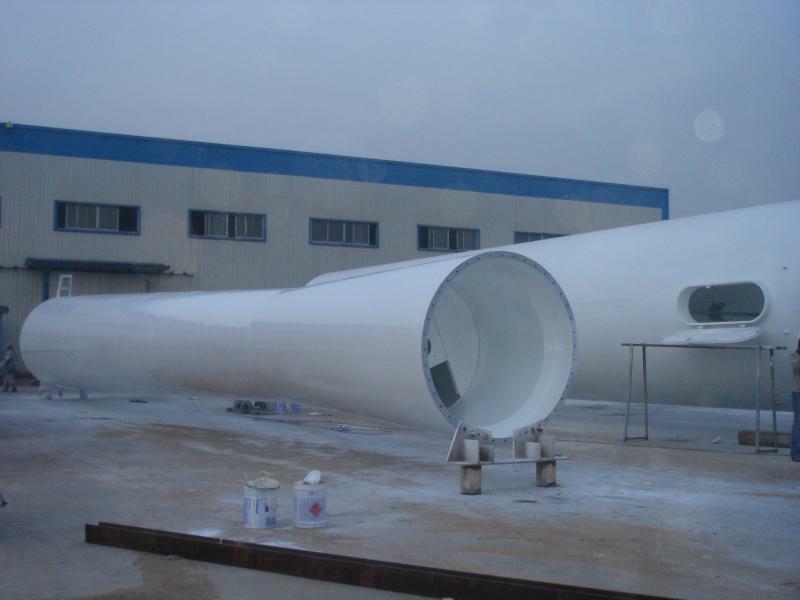 We supply our design and construct a series of platform designs specific to your requirements for your wind farm operation. The design incorporates our companies US and Foreign patented platform system that is state of the art, and significantly reduces the cost for offshore platform cost and operation. In addition our platform will bring the following capabilities to your proposed project. 1. 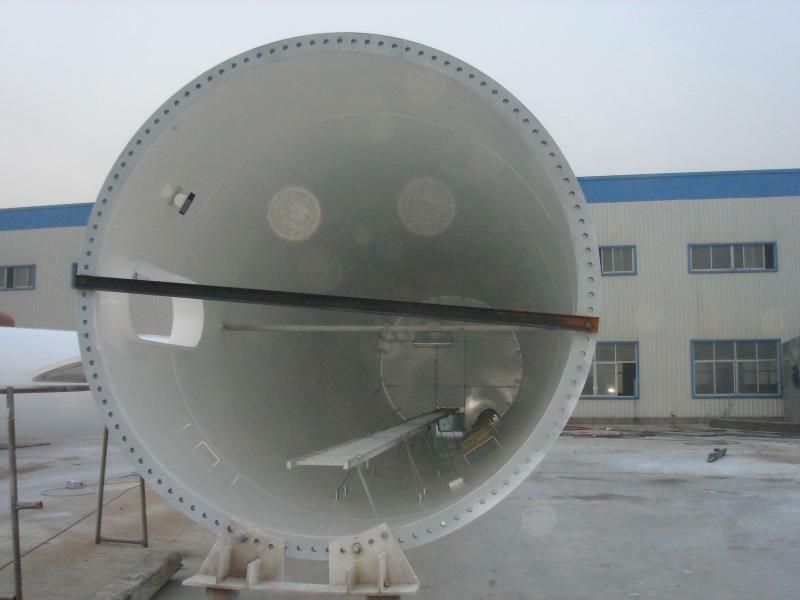 Reduced overall construction and installed cost of the turbine support structure, no barge cranes required for installation, self installing. 2. Versatility of the use of the platform design for uses in offshore manufacturing. 3. Completely commissionable dockside to fully operational state, redeployable to any rated water depths. 4. Mobile use for reduced annual permit cost. 5. Certifiable to ABS, DNV, USCG or other class requirements. 6. Annual or emergency maintained service available 24/7. 7. Minimum sea floor damage as compared to piles. 8. Significantly reduced decommissioning cost. 9. Turnkey design, construction and installation of the platform system. 10. Optional service crane and heliport equipment. 11. Operation quarters for deployment and survival requirements. 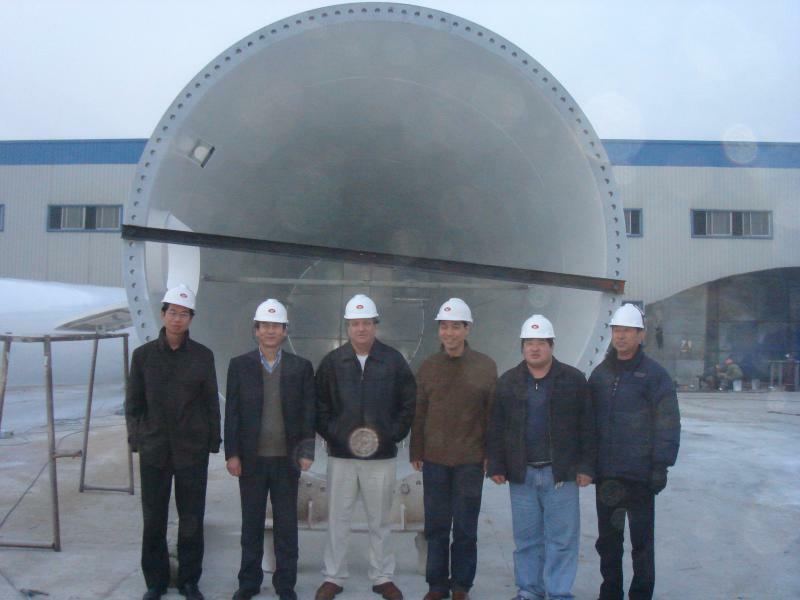 Tower Sections under construction in fabrication plant near our new offices in Dongying China. Pictured Plant Mgr. Mr Gao(far left) President of Offshore Wind Power of Texas, Mr. Hines(center), Mgr. of China Operations for Offshore Wind Power of Texas, Mr Zhao(2 nd. from Right) and other plant personal. Mobile Wind-Driven Electric Electric Generating System and Method and Apparatus, U.S. PATENT NO. 7,163,355 ON JANUARY 16, 2007.